See more objects with the tag personal, curving form, women's fashion accessories, organic, personal adornment, women, shells, curving line, spirals. This is a Pair of earrings. It was designed by Ted Muehling. It is dated 1986 and we acquired it in 2011. 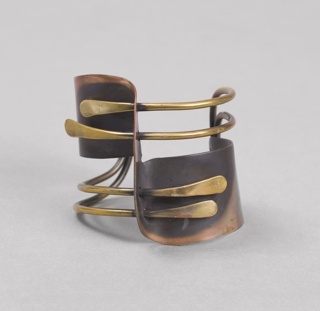 Its medium is oxidized sculpted bronze, bent gold wire. It is a part of the Product Design and Decorative Arts department. 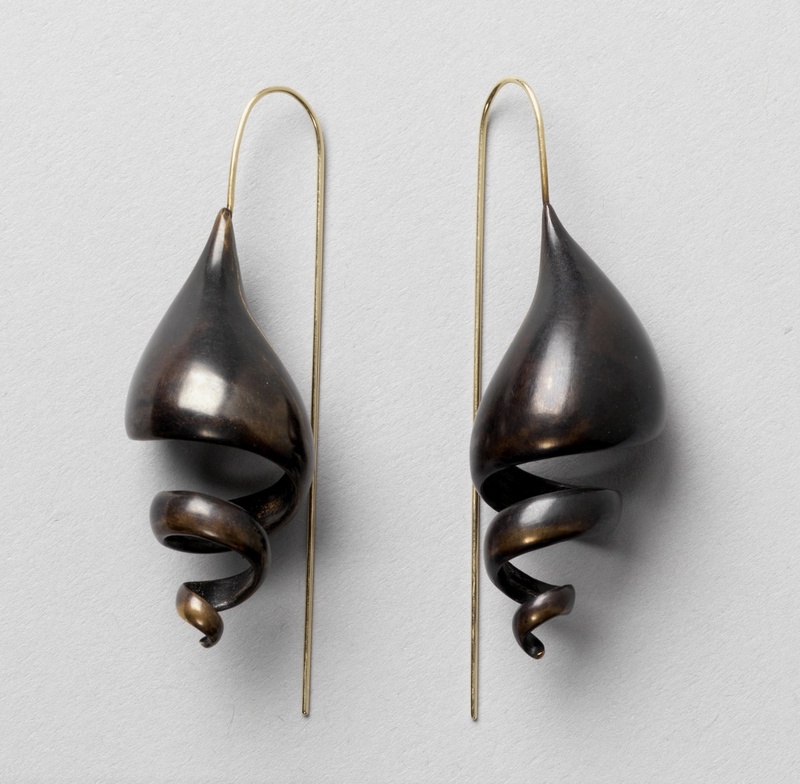 Turret is a pair of spiral-form earrings by the American designer, Ted Muehling. 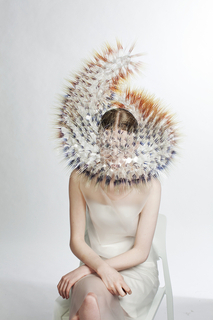 Muehling, who is based in New York, is a versatile designer across media. 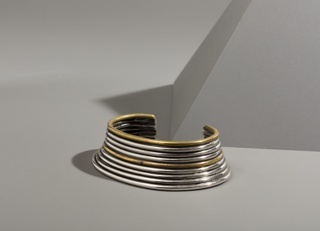 Although primarily known for his jewelry designs, the museum also has examples of his glassware produced by the Lobmeyr firm and collaborated with the designer on the exhibition, Ted Muehling Selects: Lobmeyr Glass from the Permanent Collection. 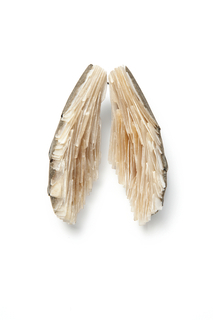 These earrings exemplify Muehling’s approach to interpreting nature in a contemporary way. He will take a seemingly mundane natural form (like a seed, for example) and will render it in a way that emphasizes the beauty of the simple form. 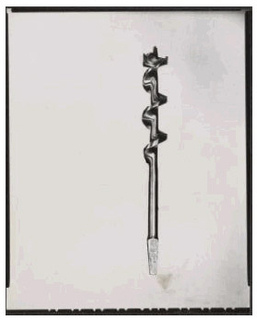 Some of his work elaborates a simple form into more complex design, such as, in this case, the suggestion of a spiral shell. This object was depositor: Susan M. Yecies. It is credited Gift of Susan M. Yecies. 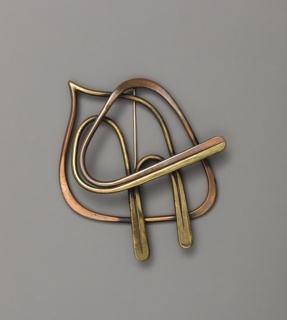 bent and flattened brass and copper wire. bent and flattened copper wire and bent and patinated sheet brass.